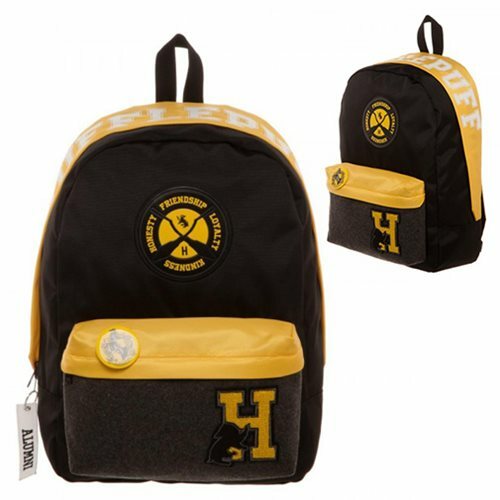 "You might belong in Hufflepuff, Where they are just and loyal, Those patient Hufflepuffs are true, And unafraid of toil" Show off your favorite school in Hogwarts with this Harry Potter Hufflepuff Backpack. Colored in the house colors, this backpack has a padded laptop slide pocket, which will hold laptops up to 15-inches. It is made of polyester and measures approximately 17-inches tall x 12-inches wide x 5-inches deep.